Standard & Poor’s upgraded their rating for Mongolian sovereign debt from ‘B-’ to ‘B’ with a stable outlook. The news echoes wider confidence that IMF-led reforms and stronger commodity prices have put government finances back on an even keel. S&P is the third ratings agency this year to upgrade their Mongolia outlook, behind Moody’s and Fitch. The country’s fiscal outlook has improved on the back of prudent policy making and a favourable external environment. The IMF-led package, agreed in 2017, offered the country $5.5 bn in financing in exchange for key structural and fiscal reforms. Effective policy implementation has worked to restrain expenditure. Meanwhile, rallying commodity exports have seen revenues surge. Government earnings rose 31% over the course of June to August 2018, as improving coal and copper exports pushed up royalty and corporate income tax earnings. This in turn led to a primary surplus of 5.3% of GDP in August. This is a marked turnaround from the difficulties of 2014-2016, where a mining slowdown pushed the deficit as high as 17% of GDP. Mongolia’s rapid fiscal recovery has exceeded expectations, and the government has over performed significantly on its IMF targets. The primary balance is predicted to reach a surplus of 3.2% for 2018, well ahead of the -0.2% predicted by the IMF in June this year. Bond markets have reflected this sentiment. 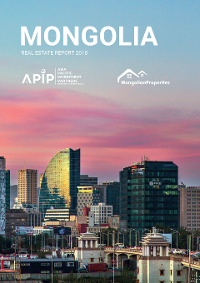 Investors have shown considerable appetite for Mongolian sovereign debt. Development Bank of Mongolia’s $500m 5-year issuance in late October was quickly bought up at a 7.5% yield, undercutting the initial marketed yield of 8.25% and underscoring renewed confidence in the government’s financial position. There is no escaping the fact that Mongolia remains dependent on commodity exports, and overexposure to fluctuations in external demand is a downside risk. Diversification and structural adjustment are key to managing this risk. This will entail politically testing structural reform of social welfare programs and the creation of a sufficiently independent fiscal council. It will also involve targeting infrastructure government spending and investment. Over performance on IMF targets has bought authorities fiscal breathing space, allowing them to bring up expenditure in other areas. The government has targeted a 1% surplus in 2019, making room for a 3% increase in expenditure to target investment. Around 1% of GDP will be put toward central government spending on human capital issues such as schools, hospitals and air pollution control in the capital. Another 1.4% of GDP will be put toward infrastructure spending by local governments. These are critical targets if the country is to shore up its position against future commodity volatility. However, these steps away from austerity have been tentative and careful. The 2019 budget committed to save 100% of future revenue over performance, and to reign in expenditures if revenues do not meet expectations. 2018 has been an encouraging year for Mongolia watchers. S&P’s announcement is the latest institutional vote of confidence in the country, following positive feedback from other ratings agencies and major partner organisations such as the Asian Development Bank and the IMF. This institutional consensus sets the scene for continued progress into 2019 and beyond.